• Last week Boston College announced the final collapse of its archival project which had been designed to store interviews with loyalists and republicans for the use of future scholars who wanted to deepen their historical understanding of the Troubles. Presumably, Boston has now learnt the bitter lesson of that well-known aphorism, 'No good deed goes unpunished"
In my view, the above statement by Boston College Hierarchy captures the recklessness inherent in the way Lord Bew set up this project. • Its [Boston College’s PL] prestige has grown in recent years and a good part of the growing reputation was down to the beautiful new Burns Library, in particular its acquisition of archives of an Irish or Catholic significance. • As the Visiting Professor in the Burns Library 1999-2000, it was part of my duty to recommend new archives. This is an admission, effectively, that Lord Bew launched the now infamous oral history project but Bew then makes a statement that flies in the face of evidence that he has never previously denied. Until today. • As a visiting scholar I did not appoint Ed Moloney, Anthony McIntyre, or indeed Wilson McArthur who covered the Loyalist archives. However, I was an admirer of Moloney's detailed knowledge of republicanism which was widely respected in Ireland. Can we be clear about this - Mr. Bew recommended Mr. Moloney. The strong feeling that Paul Bew has effectively dumped Ed Moloney and Anthony McIntyre in today’s apologia is confirmed when we have been given clear evidence from Ed Moloney himself that Lord Bew was indeed the man who selected him for the Boston tapes project This key information is provided in Ed Moloney’s own book Voices From The Grave, which was published in 2010. It is unthinkable that Paul Bew did not read this book, nor see its clear statement in the introduction that he, and I quote, assisted in an assessment of the information contained in the recorded interviews. Moloney goes on to thank Paul, now Lord, Bew for his "crucial" support at the outset. • Strangely, McIntyre became my own personal peace process with the provisional republican movement, which he left only in 1998. McIntyre got a first class degree at the Open University in prison and then a PhD when he got out. • On my return to Belfast I ceased to work for Boston College. I did not know who was interviewed, much less hear any of the tapes. We have already noted the contention of Ed Moloney and Boston College that Bew assisted in evaluating the interview tapes but more evidence of Bew’s continued and central involvement in the project was published in the Daily Telegraph almost a fortnight ago. Again, Bew has failed to contradict this. The article clearly states that Bew and Moloney organised the interviewing of IRA “foot soldiers”. • I notice there is much talk about the alleged imbalance in those chosen to give testimony. It would have been part of the job of any future scholar to interrogate the material critically just as they do today with any other archives. I find the above comment astounding, coming as it does from a very experienced academic. Not least because of the explosive nature of the material in question, the job of the scholars who set up the project was to interrogate their material critically before a word was spoken on tape. 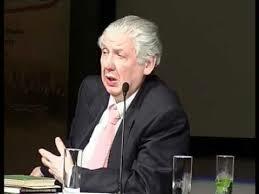 The fact is that Lord Bew was well aware of the imbalanced nature of the selection process not only because of who he chose to run the oral history project, but also because he refers to Moloney having interviewed IRA people with an “axe to grind” against Adams in his 2002 review of Moloney’s book on the IRA. Bew was well aware that these “axe grinders” include the very same people whom, according to many sources, Bew and Moloney picked as interviewees for the Boston project oral history project. In itself, Bew’s review of Moloney’s IRA book represents a savage attack on Gerry Adams in which Bew describes him as “smelling like rotten cabbage”. The very title of Bew’s review reveals his and Ed Moloney’s agenda – “At last we know the human cost of Gerry Adams”. Precisely. • At the very beginning in 1999-2000 I was motivated by a sense that the Troubles were over and should never be allowed to happen again and that the more knowledge and raw material was left behind for future generations to study the less chance there would be of another repeat. In the aftermath of the Boston tapes fiasco, which led directly to the arrest of Gerry Adams and could have meant the end of the peace process, compounded by his attempt today to whitewash his own political history and core involvement in this “Get Adams” process, Lord Bew is surely unfit to hold the post as the UK’s leading adviser on ethics in public life? I knew both Paul Bew and Anthony McIntyre well when I studied for my Masters at QUB Politics Dept in the mid '90s. While both were personable, there is no doubt in my mind that the Boston project would have been anything but a purely academic exercise - there was a big axe to grind. They've damaged the reputation of QUB as well as Boston College. Next entry: » In February 2001, Lord Paul Bew signed an employment contract between Ed Moloney, Anthony McIntyre and Boston College - why has he hidden this fact?